Now, experience a Transformers battle you've never seen before! Take command of the Heroic Maximals and Evil Predicons as they struggle for supremacy! 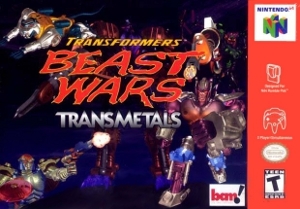 More powerful than ever, these cybertronian warriors can convert into 3 modes: beast, vehicle, and robot. Run, blast and transform your way to victory! Crush the competition with the awesome Ultra Blast attack!